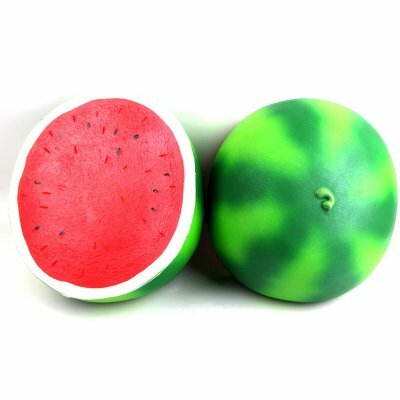 Successfully Added 25cm Super Large Squishy Half Watermelon Shape Slow Rising Toy Children to your Shopping Cart. Good quality PU material, high elasticity, soft touch feel, safe and non-toxic. Half watermelon shape and 25cm large size, very funny and refreshing, people will enjoy playing with it. A perfect toy to relieve stress, anxiety and bad emotion, making your mood better. Great gift for friend and family for the up coming holidays!